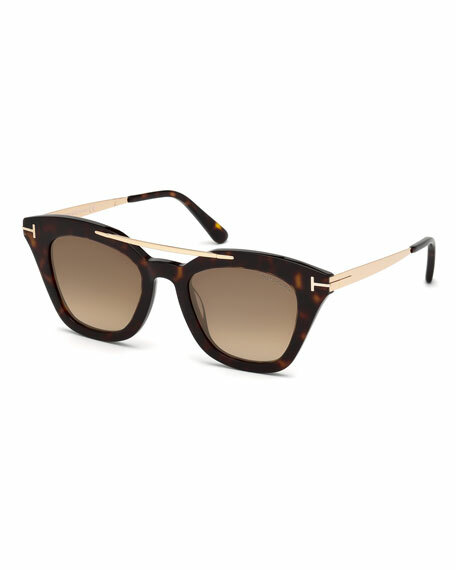 TOM FORD "Autumn" square sunglasses in acetate. Lens/bridge/temple (in mm): 53-21-140. Gradient lenses. Notched arms. Signature "T" at temples. Can be fitted with prescription lenses. 100% UVA/UVB protection. Made in Italy. 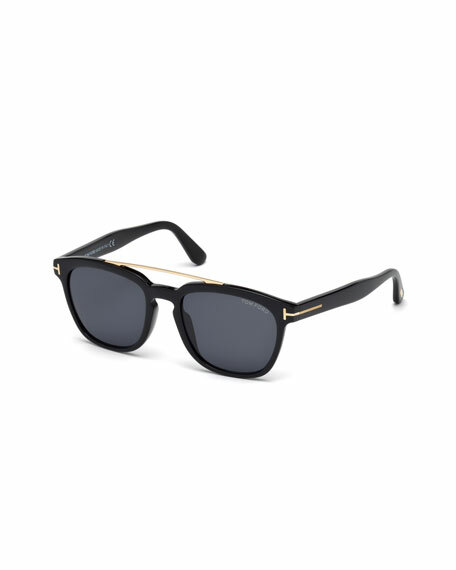 Tom Ford "Eric" sunglasses. Eye/bridge/temple (mm): 55-19-145. Square acetate frames. Solid brown lenses. Rose golden "T" insets at temples. 100% UVA/UVB protection. Made in Italy. 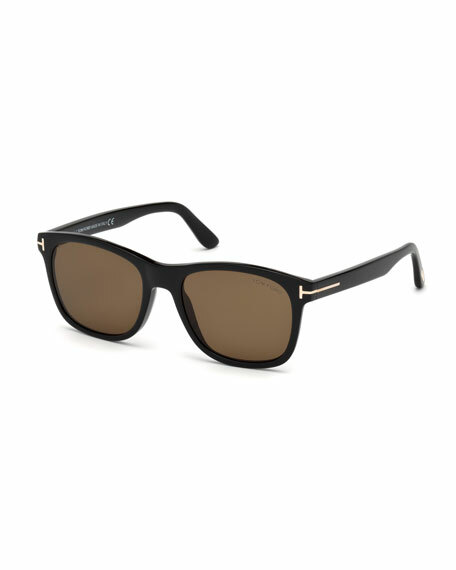 Tom Ford "Holt" sunglasses with shiny rose golden hardware. Eye/bridge/temple: 54-19-145. Square acetate frames. Smoke lenses. Metal brow bar. Keyhole nose bridge. Metal "T" at temples. 100% UVA/UVB protection. Made in Italy.